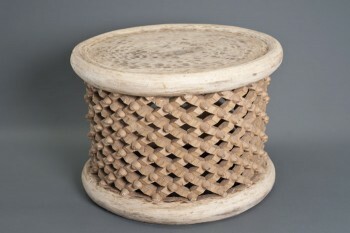 Traditional Bamileke "King" stools from Cameroon. These unique pieces can be used as a feature side table, coffee table or stool. Colour: Main colours available include natural, white and black. Custom colours are also available. Please feel free to contact us to discuss options. 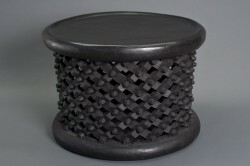 The pictures represent a 60cm (d) Bamileke Stool in natural and black.